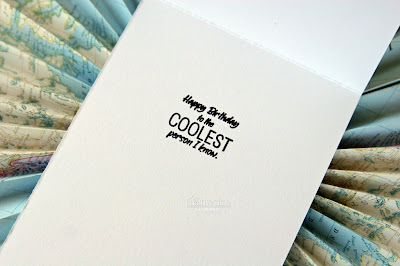 Liz's Paper Loft: MCT June Release Sneak Peeks Day 1 ~ coolest! 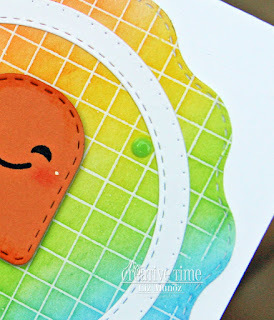 It's time for My Creative Time's June Release Sneak Peeks! With summer basically here I have the cutest stamp and die set for all your summer festivities. 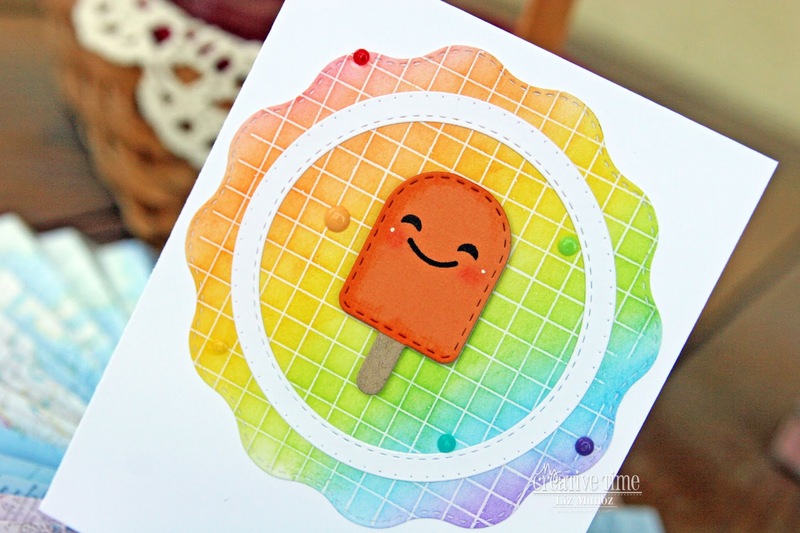 This new adorable set is called Anything is Popsicle! How cute it that! For the background I stamp the grid with VersaMark and heat embossed with clear powder. Next I ink blend the rainbow of colors. For the white circle I taped two circle dies together. On the popsicle, after stamping the face I added some copic marker to the edge and a little chalk and white gel pen on the cheeks. To finish this card I added Nuvo Drops and the sentiment on the inside. Hi Liz! Your card is so adorable!!!! I love the fun color palette!!! Cute card!! Love the rainbow colors! your card is so cute. your Popsicle reminds me of a dreamsicle. I haven't had one in years. My daughter would love. Looks so tie dye. I'm in love with this card, Liz!!! Your background is awesome! I need to pull out that stamp! Love how the BG looks like a plaid - great job! This is really adorable and I love the design. Love your card the background is a very cool idea! OMG Miss Liz WOW what a Super Gorgeous Card!! Your backgrou and is so Beautiful you so did a Super awesome stamping and embossing job! Your popsicle is so Adorable....loving all the clever and creative ways you used Miss Emma's goodies as you showcase today's sneaky peek. You did a Super Incredible Creative job!! YOU so ROCK!! Love the vivid colors of the ice lolli, so fun! Love the background! 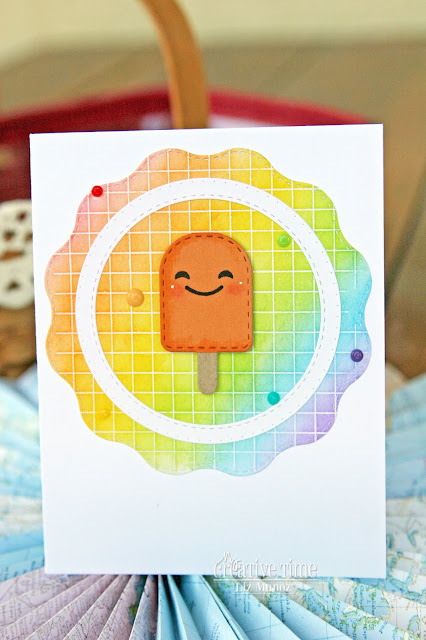 The colors are perfect, and the popsicle is so cute! I love the grid background with the multiple colors! Cute and colorful card design. Love the colors. Awesome color combo for summer! Adorable card! WOW! I really love your card! The background grid with the added bright colours really makes your popsicle "pop". Awesome design. So cute!! Awesome background as well!! Your background is sooo cool! Wonderful way to ink a rainbow...so pretty! Your card is adorable. 0824jejeair jordan future low noir et blanc Les tiges chaussure nike femmes presto fabriquées sur PU, également utilisées jordan nike homme 2015 dans la série Air Jordan 2 Baskets Kobe, sont faciles asics gel lyte 3 homme solde à nettoyer. Il se air jordan 3 femme taille 41 vante d'un impressionnant mille air basket jordan femme sept cents couleurs. Dickie adidas zx flux leopard solde et Williamson ont concepts x asics gel lyte v prix fondé leur entreprise en Air Jordan 12 pas cher 1922 à Bryan, au asics gel lyte 3 homme marron Texas.